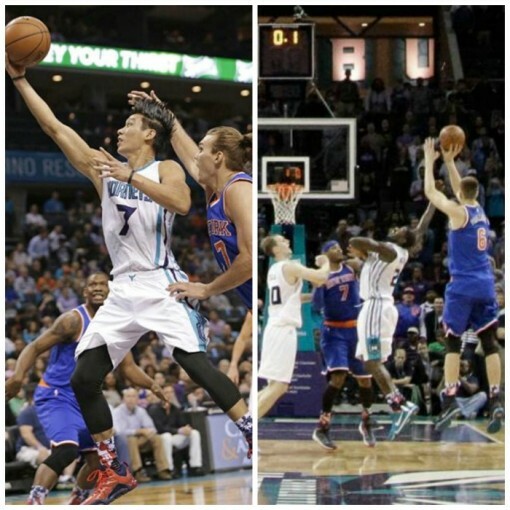 Lin also dished out three assists and had three steals in 21 minutes. Jeremy’s effort and timely shot making was nearly thwarted by the Knick’s 7-3 rookie Kristaps Porzingis, who hit a long three at the buzzer. Had the shot counted, the Knicks would have walked out with the one point win, but after reviewing the shot, it was a tenth of a second too late. After losing their first three games, the Hornets have won four of their last five games.